"In our study, in people with the greatest burden of intermittently recurring atrial fibrillation those with the greatest burden defined as more than 11 percent of the time—were the most likely to experience subsequent strokes or arterial blood clots, even after we controlled for all other important risk factors," said lead author Alan S. Go, MD, director of the Comprehensive Clinical Research Unit within the Kaiser Permanente Division of Research. Both types of atrial fibrillation—intermittently recurring and that which occurs 100 percent of the time—can produce irregular and fast heartbeats, or arrhythmias. 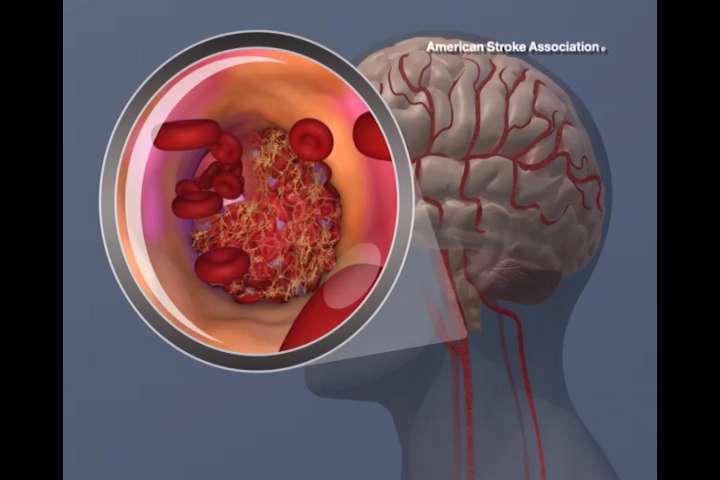 They affect millions of adults in the United States, and are linked to a higher risk of ischemic strokes and other types of blood clots. Currently, patients with any amount of atrial fibrillation are treated the same as those with chronic atrial fibrillation when it comes to stroke prevention, but whether these groups have an equal risk of strokes and blood clots has been controversial, explained Dr. Go. "This study has the potential to have a major impact on heart care," said senior author Matthew D. Solomon, MD, Ph.D., a cardiologist at Kaiser Permanente in Oakland, California, and adjunct researcher at the Division of Research. "Using new continuous heart-monitoring technology, physicians can identify patients with intermittently recurring atrial fibrillation at greater risk and engage in better-informed shared decision-making around stroke prevention strategies."